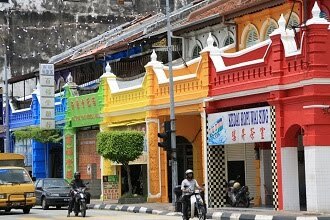 Decoration on this shop house is quite commonly seen in old streets of Penang, Malacca and Singapore. It displays the typical architecture of South East Asia during the colonial age. However, this is rarely found in Ipoh. 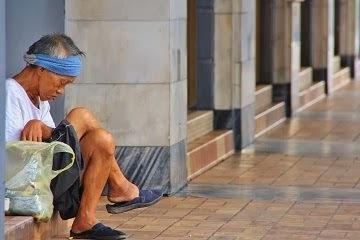 Even there are some but many are missing or at poor condition. At one end of Hume Street (Jalan Mesjid) that close to the Kinta River bank, stood an old mosque, Panglima Kinta Mosque. This was owned by a local general during the early age of township establishment. The mosque is not easily found from main streets in New Town because it is located at a quite isolated end of Hume Street. This historical mosque is well preserved & displaying typical 19th century local Islamic architecture. Due to the isolated location, the surrounding does not changed much and I feel like walking in the past. I will, for sure, capture more images at Hume Street to share in the future. Today is the end of a working week for many. 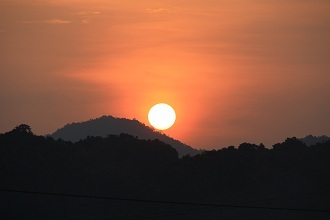 The sunset is more attractive when seen from the peaceful new village. A relaxing weekend begins from this moment. For those driving along the North-South Expressway and pass by Ipoh, they would certainly see this castle. This building on a small lime stone hill in Bercham is actually a recreation club, The Bougainvillea Club. Since the completion of North-South Expressway in early 1990’s, Bercham has become a gold mine where many properties developer spotted here for commercial & residential development. Bougainvillea Club is a product of the rapid growth & turn up to be a landmark of Bercham. 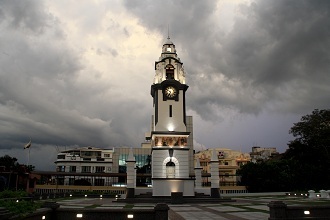 The Ipoh City Council (MBI) building & City Square Clock Tower. 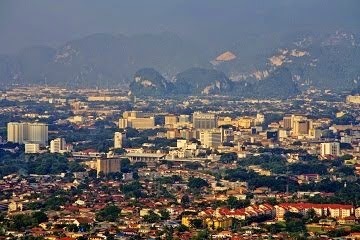 Ipoh is now at her 21st birthday as a city since year 1988. 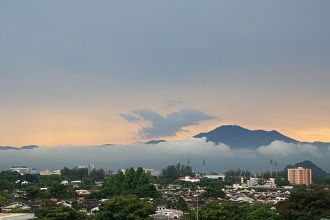 It was the second in Malaysia (after Kuala Lumpur) gaining the status of city. 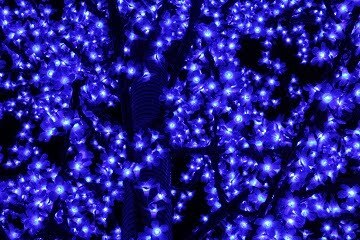 However, this is usually celebrated in small scale, where the city council will organize some public activities, such as marathon, orchid exhibition, properties exhibition & stage performance. 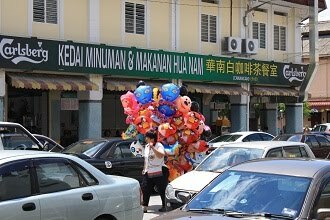 Many Ipoh citizens do not even remember this day because the upgrading to city has not much change except some restructuring of local authority & public services. A shop at Cockman Street (Jalan Dato Onn Jaafar) is being painted. I am glad to see it because the intention of remaining the pre-war building by restoration instead of demolition shall be encouraged. As compare to the neighboring shop, some painting & restructuring works are good enough to lift the building status from its current poor condition. 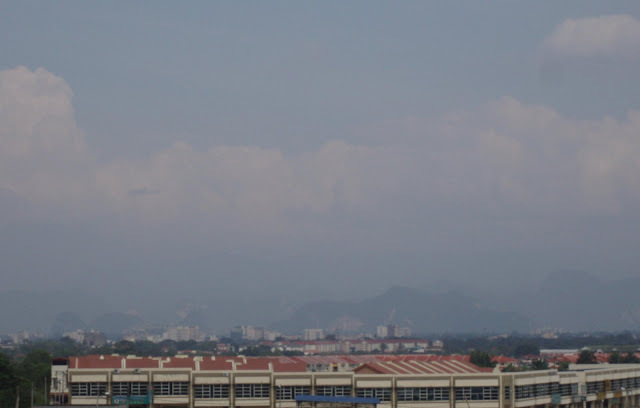 After many hot days, the atmosphere of Ipoh turns to be hazy & humid. 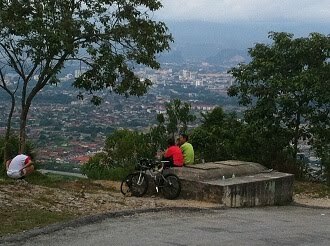 The city & Titiwangsa Mountain Range looked blur when view from Kledang hill side. Hope the weather will change soon to wash away the heat and haze. It has been sunny & warm since few days ago. 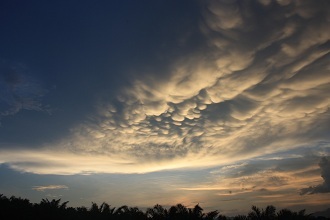 Anyway, the day would sometimes turn cloudy. 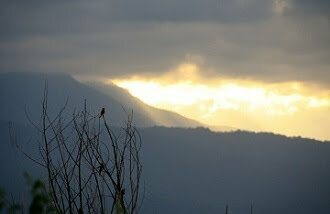 This is captured when the cloud is blocking the sun & we are temporary prevented from the direct sunlight. There are not many cities in Malaysia having such integrated sports facilities. 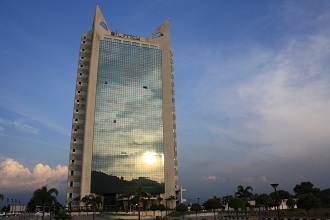 The MBI (Ipoh City Council) Sports Complex comprises the Perak Stadium (main football stadium), Indera Mulia Stadium (main indoor stadium), Azlan Shah Stadium (hockey stadium), People’s Velodrome, badminton & squash court, tennis court, swimming complex and also an administration center & hawker center. It is a popular spot of Ipoh citizen for sports. These facilities are normally open for free during Ipoh city day which is 27th May. Like the typical Chinese traditional architecture, the corners of roof are bent up. 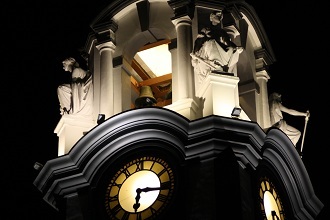 For special buildings, such as palace & temple, the roof top is usually decorated with statues, such as dragon, phoenix & mascots. In South East Asia, the most commonly seen Chinese architecture building is temple. 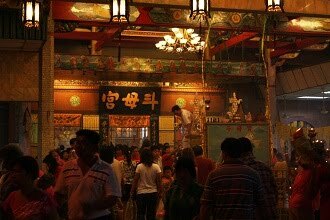 This is one of the few popular Chinese Buddhist temples in Ipoh, Guan Yin Temple off Kuala Kangsar Road. At the center of roof top, two dragons are guarding the Guan Yin statue, which is a typical design. This building looked nice, isn’t it? But why is it weird? It is because the front part of these shops looked like ordinary local shop & old. However the rear part of it which is facing the backyard is designed in western architecture and well maintained. This is seen just beside the famous FMS Bar & Restaurant at Brewster Road. I believe many may not find this if not properly looking at it. The Federal Government office block is located beside the city council building in Greentown. It was completed several years ago where many Federal Government departments had moved in. This is suppose a good move because the location in the city center is convenience for the public. Somehow we do not understand for what reason there is another building setup at Meru Raya which is more than 10km away and some departments have migrated there. Isn’t it a waste of resources by doing so? I was having my breakfast at a coffee shop near to the North-South Expressway’s North Ipoh interchange. It’s a cloudy morning, feeling a little bit lazy going to work. I was visiting HSBC this morning. 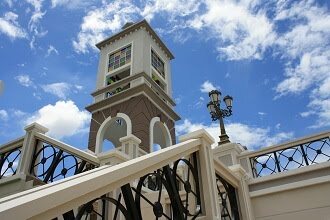 It is nice while looking up from ground, where beautiful architecture appears in front of the blue sky background. A group of youngster is practicing football at Ipoh Padang in the morning. The St. Michael Institution & Islam Bank building is at the background. Traffic on the road is light. I feel the morning is peaceful & relaxing. 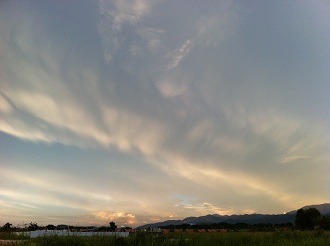 The cloud is crawling along the Kledang Mountain Range after rain in late afternoon. It washes away the heat accumulated during the sunny noon. 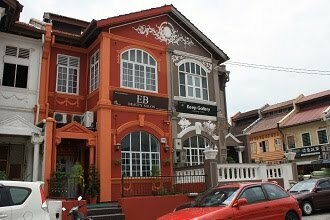 This three storey building was once a famous hotel in Ipoh. 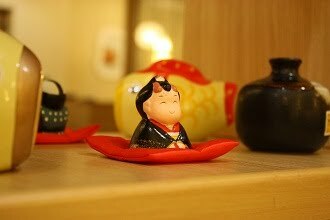 Oriental Hotel is special for its roof top garden and this is certainly unique & amazing at that time. However, things are changing over time and this building had turned to be fast food restaurant in 1980-90’s. Finally it is occupied by an electrical goods chain store. 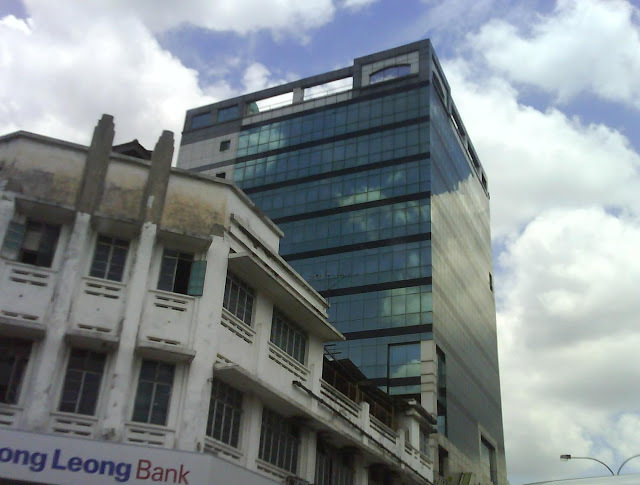 The glass skin building, Wisma Bougainvillea (Bougainvillea Building) is one of the few recognizable high rise buildings in town. 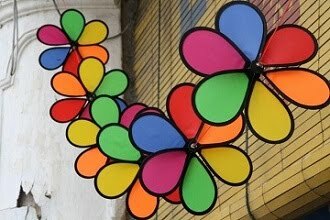 It is named over the city flower. This is a commercial owned by the city council. Most of the high rise buildings in Ipoh are not designed in good shape. 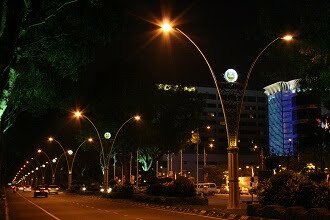 Somehow I find the Ipoh City Council has shown a good example where the council headquarters in Greentown & Wisma Bougainvillea is displaying good architecture. 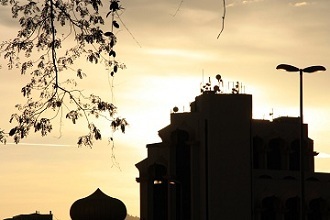 The Ipoh Railway Station looked more attractive during the sunset. 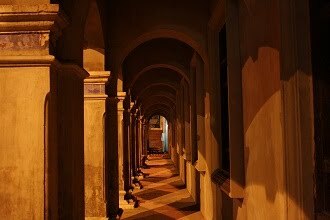 The corridor seems to be much more romantic when the classical light is on. 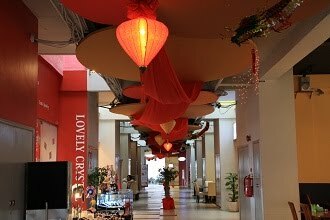 I really wish one day I will spend some time experiencing the old time romance at this Corridor Café. Kinta River is famous of its tin mining. To the Ipoh citizens, it is also a great recreation spot at its upstream at Tanjung Rambutan. Many call this part of the river as Tanjung Rambutan River. Many spend their weekend over here to wash away the tense accumulated at work for the week. Some even camp at the river bank. The clear & cool stream plus the fresh & clean air will definitely refreshing you. 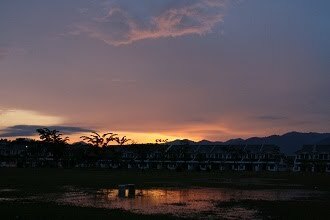 It is not difficult to get here, just make a right turn at the traffic light near Tanjung Rambutan town (at direction towards north), go straight until reaching Sultan Azlan Shah Dam. Take the small road at left & drive about 200m, a car parking place & a bridge will be seen, and here it is. However, it is dangerous during raining season as the water level may rise in a sudden. 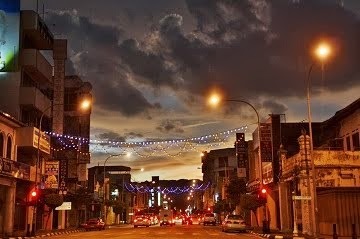 This is seen from the Menglembu hawker street in the evening. The old shop houses in Menglembu town seemed to be more romantic under the golden sunset. 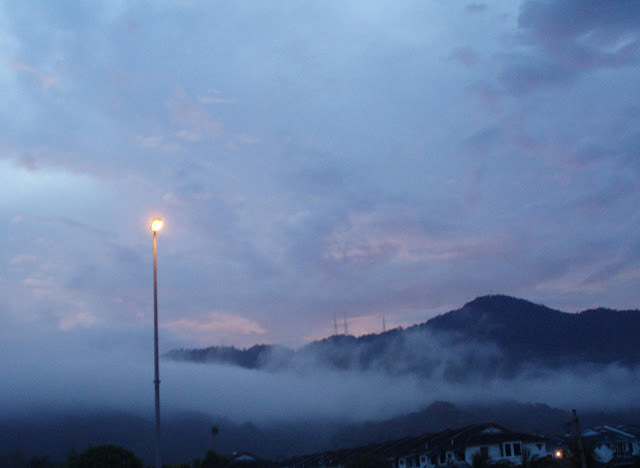 It is seen at far the Kledang Hill that everyone live in Ipoh will recognize the transmission towers on it. This scene had captured my attention when I was driving on my way to dinner. We are very familiar with the Town Hall in its original colour, white, but it was appeared in pink at this evening. If the development of Ipoh is consider running at low gear, the public transport here is probably in a reserve gear. This bus may be one of the buses I have taken during my school time 20 years ago. Despite many of the old buses still on service, some new buses that appeared for a short while around year 2000 are missing since few years back. This is a lousy government that never does their job properly in developing comfortable public transport for the citizen who pay tax every year. 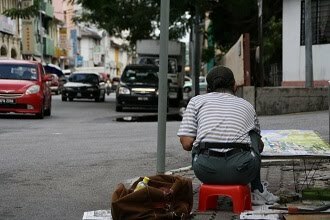 Leong Sin Nam Street & Clarke Street (Jalan Sultan Abdul Jalil) are the only two streets in town with trees planted at the middle of the road. 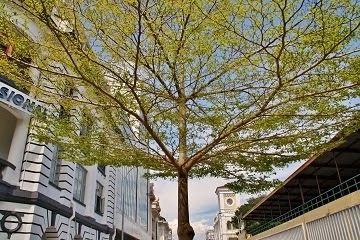 This tree at Clare Street is seen to have many red flowers. 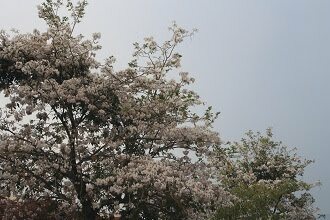 Anyway, the beautiful flowers cannot heal the people’s wound on this darkest day in Perak’s political history. Capturing sunset is my favorite because it is beautiful & charming. 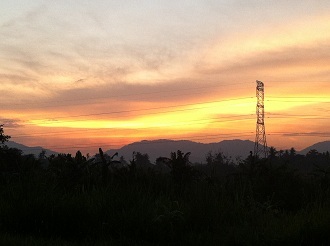 After a tiring working day, watching the colorful sky is one of my enjoyments. This is the moment captured before my dinner at a coffee shop nearby my home. Ipoh Railway Station has been the landmark of Ipoh for almost a century. 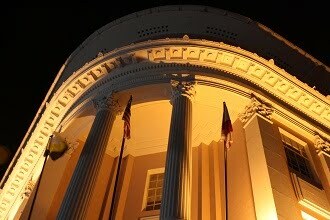 The most iconic feature of this building is the dome. It was once painted in silver but changed to white since few years ago. Woolley Food City is one of the famous food courts in Ipoh since 20 years ago. It is renovated last year providing a new & clean environment for dining. 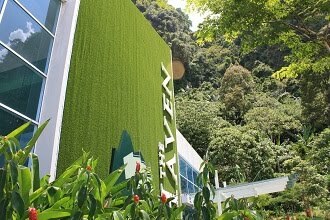 The food court located in Ipoh Garden opens day & night. I have been looking for nice location to capture night scene. I find lately the mini Harbour Bridge at Kinta Water Front is quite a good place for this purpose. I like the reflection of light from Brewster Bridge and this photo is showing the skyline of Old Town. How Long Would It Stand? Does it look like a building in war? 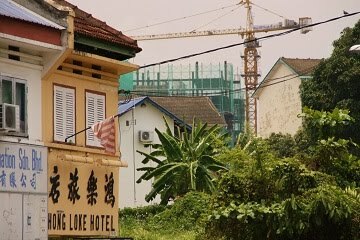 No, it is located in the heart of Ipoh but has been vacant for long time. It looks like the owner has no intention to repair it. I am wondering why this shop house at a strategic location in town is left abandoned. Isn’t it a waste? Silibin Road is a main connecting road between Ipoh city and the North West areas, such as Silibin, First Garden & Jelapang, Somehow it is not well developed. Even with heavy traffic, it is still maintain as single-lane traffic at each direction and the condition is quite poor. There is no impressive building along Silibin road except this church, Church of Our Lady Of Lourdes. This is one of the biggest churches in Ipoh & the tall tower is visible from far. The church is usually crowded during Sunday morning.